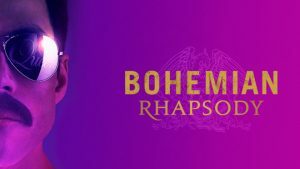 Hey everyone, back with a review for Bohemian Rhapsody, the newest biopic of the band Queen, and especially of their lead singer, the incomparable Freddie Mercury. I don’t really know if this needs to be a spoiler-free review. I mean, Queen is and has been enough in the public psyche and their history isn’t exactly a secret. So, spoilers, I guess? I don’t know, do with this what you will.